And then, finally like a Sekhmet kid, I realized I should, uh, do something. At the very least do the best I can to ensure that my employer is held accountable for their actions. Even if I end up quitting--I don't want a graceful exit. Today, after being completely called off of work for no warranted reason ("rain" that didn't come until five o' clock this evening, among other things that don't make sense), I decided to take the first steps in filing a claim with the EEOC against my employer. I've filled out most of the online forms, including the secondary ones, scheduled an in-person get-together with an EEOC representative (which is just to determine if there's even a case) and asked a few (former) coworkers if they'd be on board to support my claims of the umpteen number of ways HR's screwed me over in regards to (not) accommodating my visual disability (including denying me promotion in a very passive-aggressive way), (not) working to even understand what clinically documented chronic PTSD can mean for me under X conditions (so let's fix X conditions, please? ), and being trans (to quote the head of HR: "Why should you get to be special and break the rules [regarding HR's own self-imposed-but-then-rescinded method of self-identifying with pins, of all things]? Everyone identifies as something and [in response to the notion of gender dysphoria I'd brought up; unedited quote] everyone has a mental problem of some sort." The EEOC folks might well say that I have no case. Or maybe the company fires back with whatever choice stuff they have which I can't argue against. Who knows? But at least it's something. I don't even know what the end result would be. I'll still work there, until I can find something else, because Insurance and A Paycheck (Two bits!) . . . but I don't want to be silent anymore. Prayers for Ma’at to prevail! I'm really proud of you for standing up for yourself and taking action! Gods know we all need to do a little more of that. May Ma'at prevail! And may you get a much better job, as well. Good luck! I hope everything turns out well. Prayers to our Father Set, to your Mother Sekhmet, to Sobek, and to Babi that you get the recompense you deserve <3 -- and that your current employer gets their freaking act together, one way or the other. Much love to you. <3 I'm rooting for you, Gezausenu! 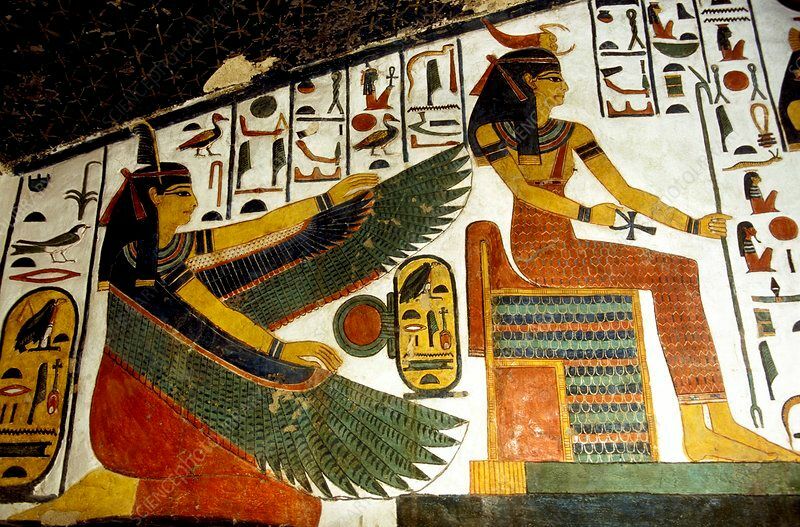 Prayers that Ma'at prevails above all. I have you in my daily prayers with Yinepu that an avenue will open up for you to see the environment improve and that you're treated fairly. I will also speak with Heru Sa Aset and Sekhmet on your behalf, that your employer will be held accountable for its lousy treatment of you. *offers hugs* Good on you for standing up and not being silent in the face of abuse. It is a very hard thing to do. Prayers, Gezausenu. May ma'at prevail and may our Parents aid you in getting through this. That's a hard situation and I hope you can successfully help bring about your desired positive changes! Prayers for you Gezausenu. May Ma'at prevail. I will certainly give offerings to both Set and Bast on your behalf, that justice is done here. I'm so sorry it's been so hard for so long. I'm sorry to hear your job has kept being sucky, twin. You deserve better. Prayers that Ma'at prevails, Gezausenu! May Set give you strength and Ptah aid with calm clarity during all of this! Much love and support. May Ma'at prevail!